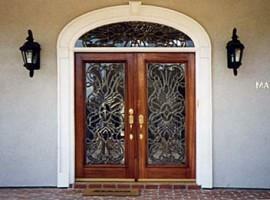 Glass doors have never gone out of style, and probably never will. This is because they’re versatile, beautiful, and can even be practical. If you’ve never considered the possibility of glass doors before now, perhaps it’s time. 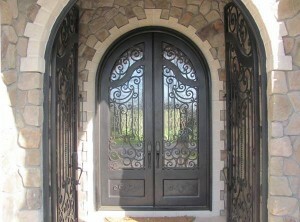 It’s amazing when you realize how many people don’t think about their doors when building a home. The door is one of the most frequently used parts of the house, and yet it often gets short shrift? in favor of what might be perceived as more attractive design elements. When you think about it, though, you as the owner of the home see that door every single day. So does every member of your family. For visitors to your home, it’s the very first thing they see. So why don’t we pay more attention to our doors? Think about how impressive a beautiful glass door looks, and consider it when you’re building or renovating. More Natural Light: It can’t be disputed that the glass brings a good deal more natural light into your home. This has the dual benefit of making the home feel more inviting and also creating a passive solar effect, which can reduce your heating costs. You combine beauty with environmental friendliness, and who can argue with that? Improved Aesthetics: Simply stated, you get a better view. Glass doors opens up the expanse of the outside, which is much more pleasant than peering out through a window. Illusion of Space: Large expanses of glass create the impression that there is more space in the room than there really is. This can be a real advantage where you have a small room leading out onto the yard or patio – the glass door effectively merges the two spaces so that the small room appears to be larger. Safety and Visibility: Now you can see what’s in your yard, because your view will be unobstructed. Are There Any Disadvantages to Glass Doors? Yes. All that glass means that your privacy is now going to be limited, unless you hang curtains. We have many different patterns of obscure glass that will give you privacy and still allow the beauty of the bevels to reflect prisms. Oh, and you’ll have to clean them a little more often than you would your other doors. But that’s a small price to pay for an incredible view.